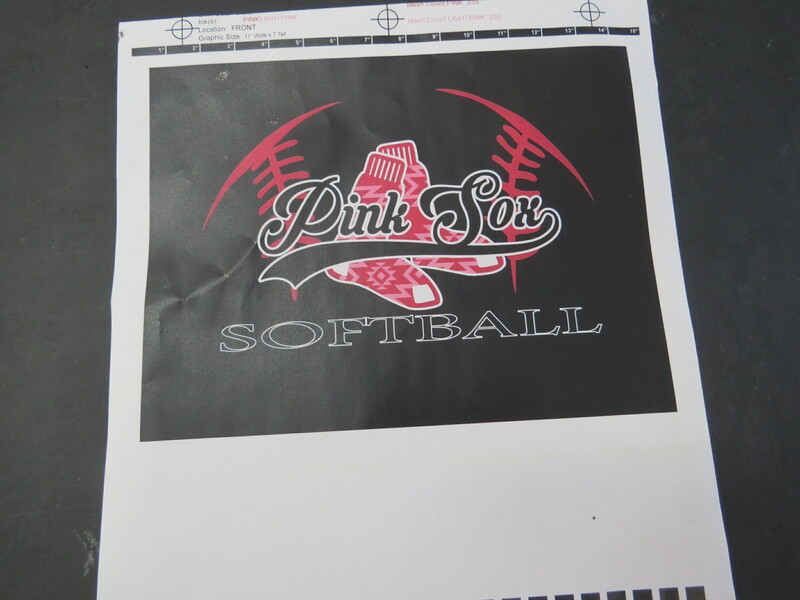 Check out these super cool T-Shirts that we printed for a local softball team in Shiprock, NM. 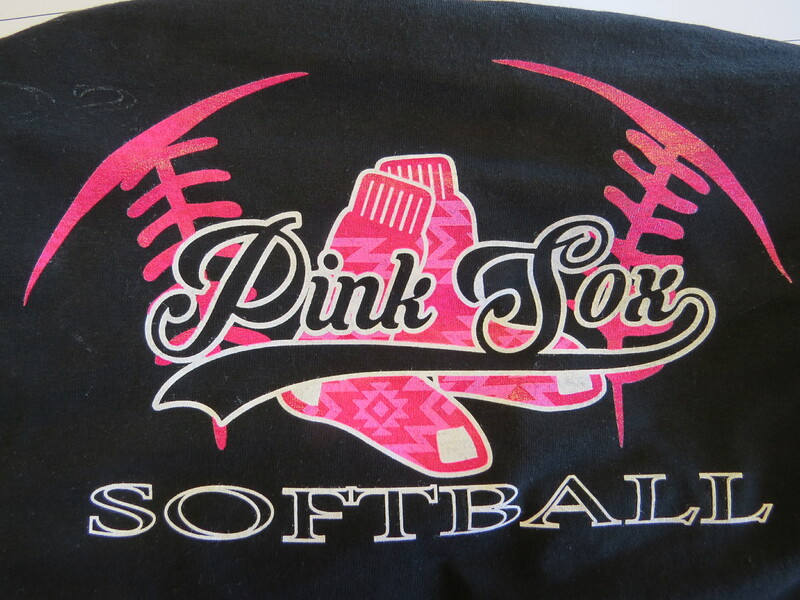 Take note of the color tones on this shirt, different shade of pink were used to make this effect on the shirt. The Different shades of pink reveal the Native American design on the sock. VERY COOL!!! 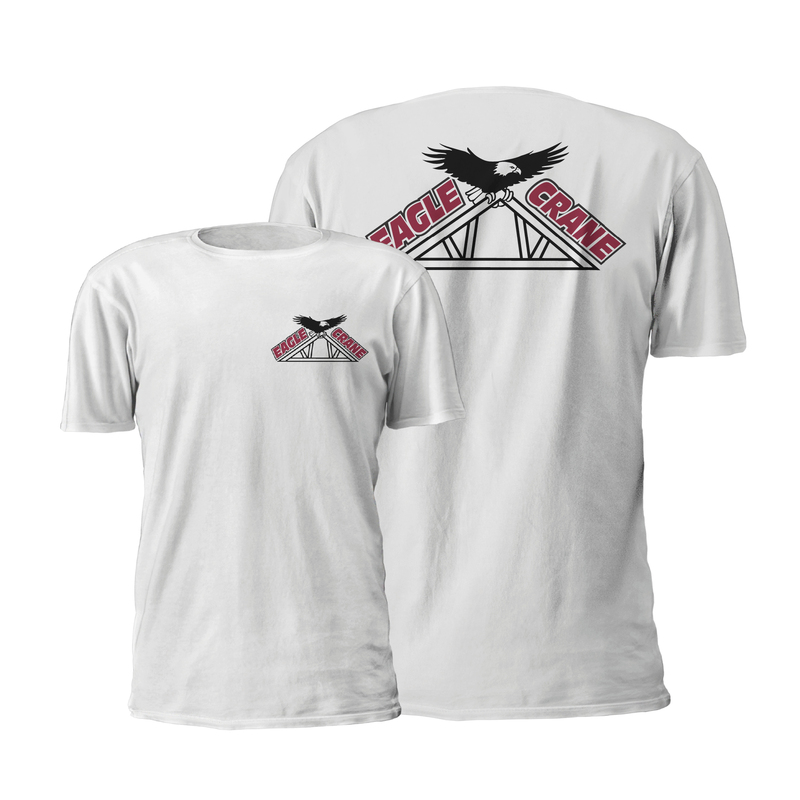 The Eagle Crane T-Shirts printed by Just Click Printing are printed front and back, with burgandy and black ink. Eagle Crane is an excellent crane service in Durango, Colorado. When we purchased our four color printing press in Connecticut, we needed someone who could handle a 14,000 lb precision machine without damaging it. Eagle Crane was the only company in the area willing to unload a printing press that weighed that much and needed to be handled carefully. It had to come off a truck and be moved into our building., and it had to print correctly when installed. We appreciate their expertise and their help. So, when Eagle Crane T-Shirts were needed, we were happy to help. The Eagle Crane logo is an eagle with its wings spread, sitting atop a building truss. The Eagle Crane t-shirts have their logo in the pocket location and again much larger on the back of the white shirt. It makes an attractive design that advertises their business wherever they go. We have been really busy this spring with T-shirt printin, and we would be happy to work with you to get exactly what you need to let people know what you are doing in your business. We offer excellent competitive prices, fast turn-around, and friendly service. We have a great staff that will help you with questions and placing your t-shirt orders. We are a full-service print shop, producing business printing ranging for business cards to full color brochures, 2-3-4 part carbonless forms, letterheads, envelopes. T-shirts like the Eagle Crane T-Shirts are only one of the many thing we can provide our customers. 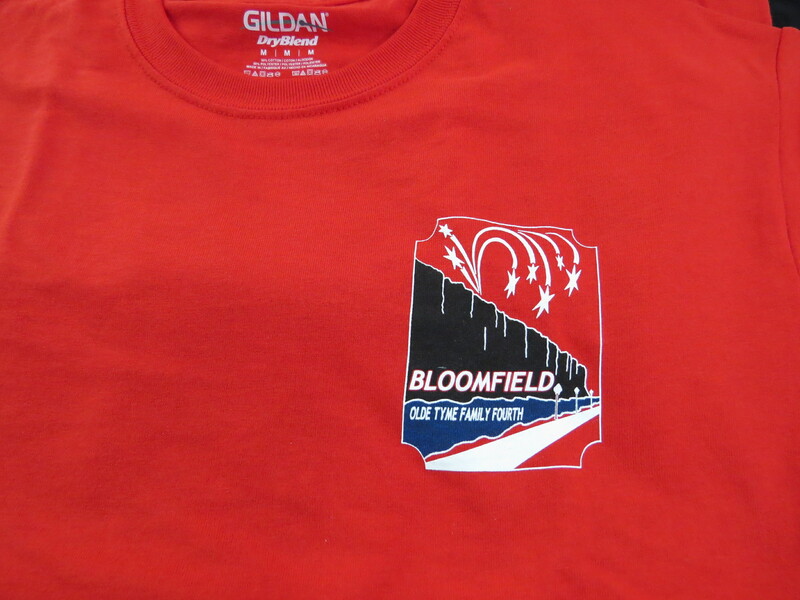 We do both screen printing and digital garment print to offer a wide array of service to meet your needs. 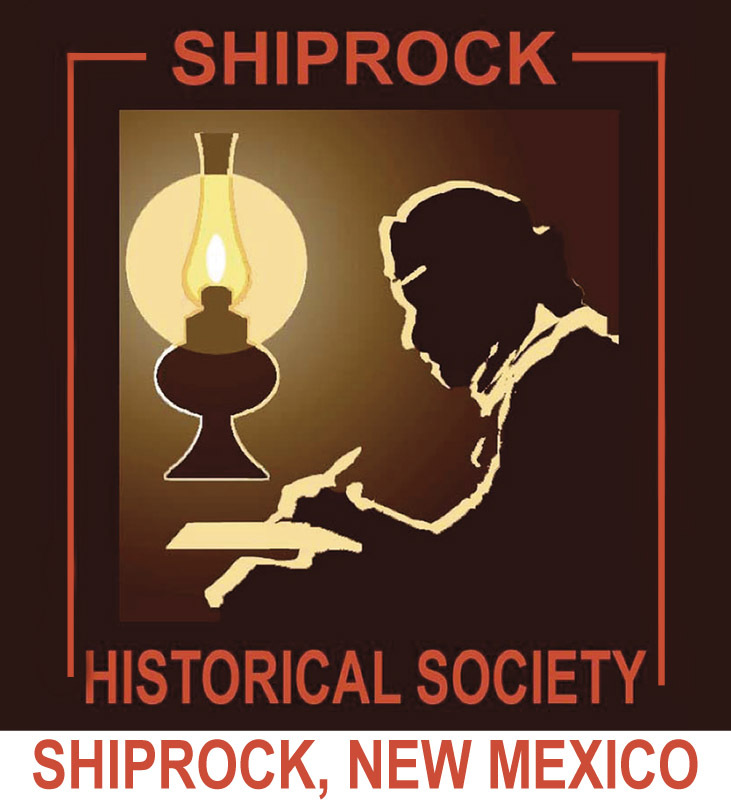 We ship nationwide from our faciltities in New Mexico and Colorado. Come visit Just Click Printing at either of our locations, 1305 W. Main St., Farmington, NM, and, 450 S. Camino del Rio #104, Durango, CO.
BMB Festival T-Shirts, 2014, were produced by Just Click Printing, THE T-Shirt Makers. We produced this shirt for The Brews, Meats, Bands Festival which takes place in September at Lions Wilderness Park & Ampitheater in Farmington, NM. 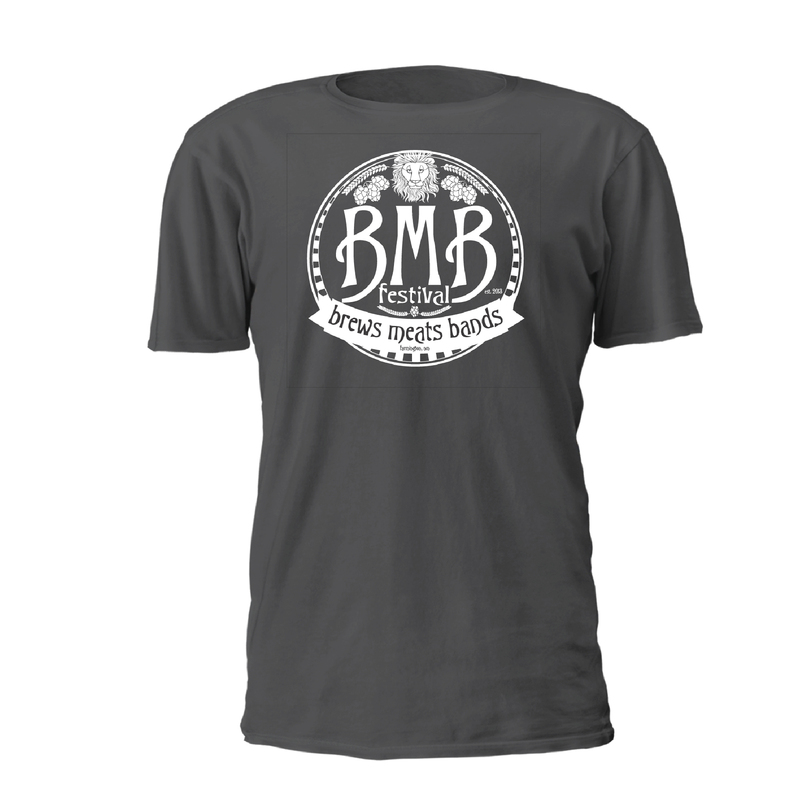 These BMB Festival T-shirts were ordered by Majestic Media, publisher of Majestic Living Magazine and Four Corners Sports Magazine, to help publicize the festival. 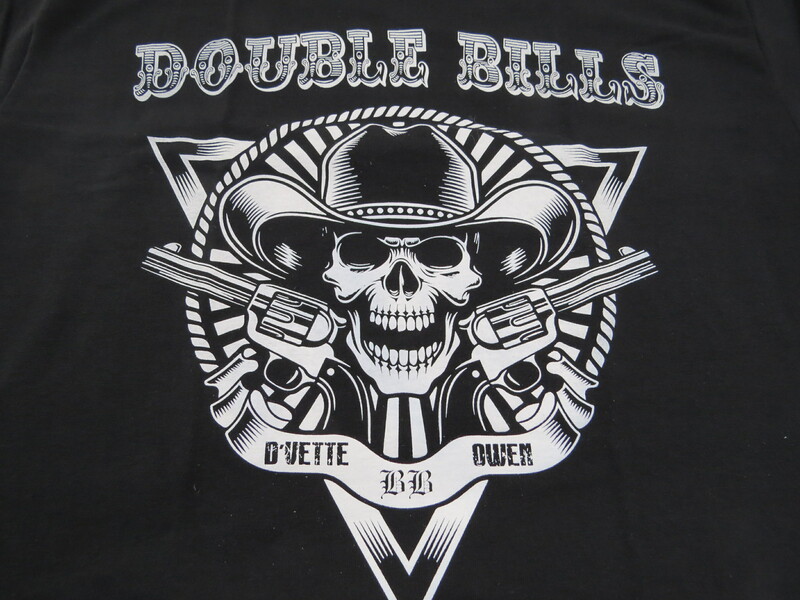 This is the white print version on a gray T-Shirt, but we printed this t-shirt in a six color version, about 300 t-shirts, as well as a couple of tank top versions. These were for the 2nd Annual BMB Festival held Sept. 20, 2014, in Farmington, NM, with several brewing companies involved, many styles of BBQ ribs, and some top Rocky Mountain fiddle and rock bands. 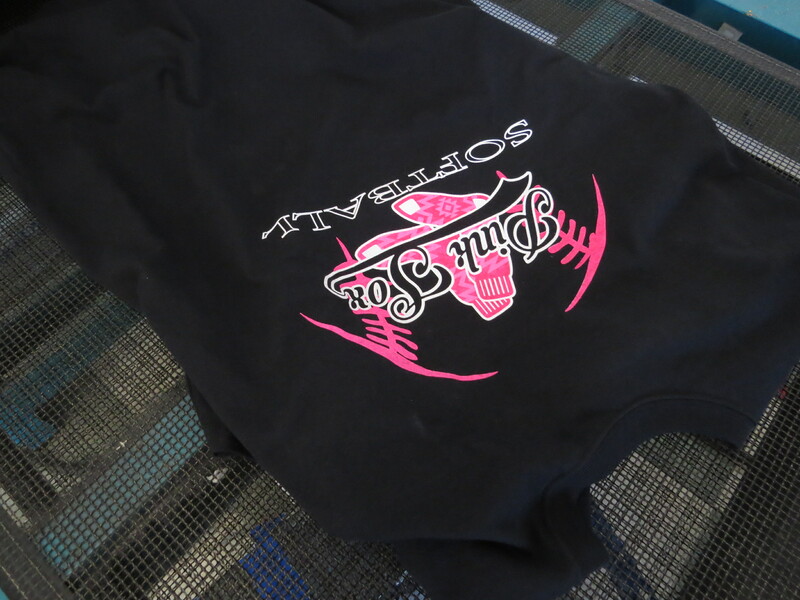 Custom T-Shirts – Just Click Printing designs and prints Custom T-shirts in house. “Do Something Together”, with unique T-Shirts, colorful, informative, custom designed T-shirts to meet your needs. 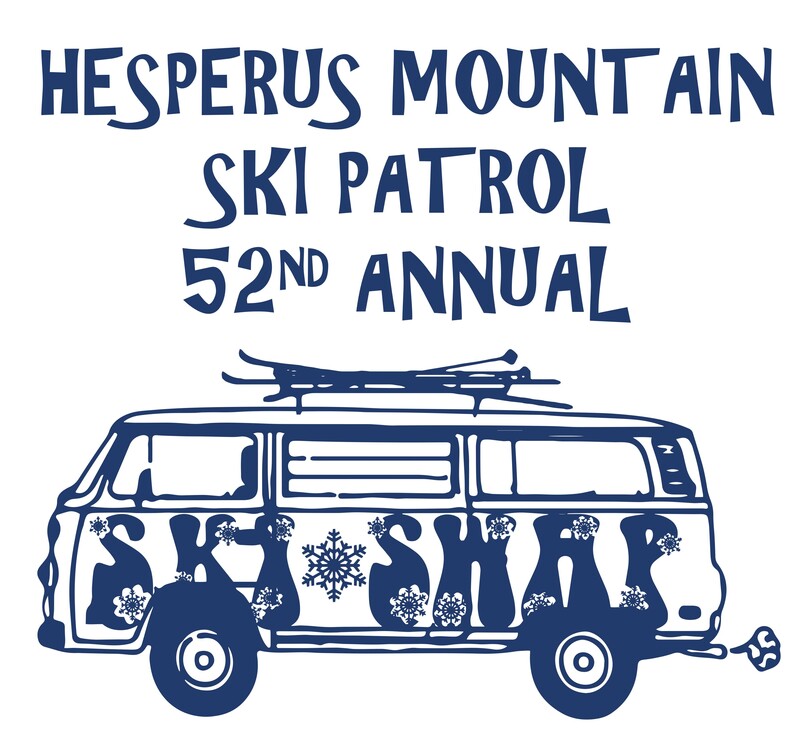 T-shirts are just the vehicle needed to get your message across, whether it is an event you sponsor or a business you want to build or advertise. Your imagination is the limit (although we reserve the right not to print objectionable material). And, T-Shirts go everywhere people go. They present a huge variety of information, and meet the important advertising concepts of retention and multiple use. You get repeat advertising every time and everywhere someone wears one of your custom t-shirts. Just Click Printing can design and print as few as 5 T-Shirts of any one design or 5000, 10,000 if you need them. 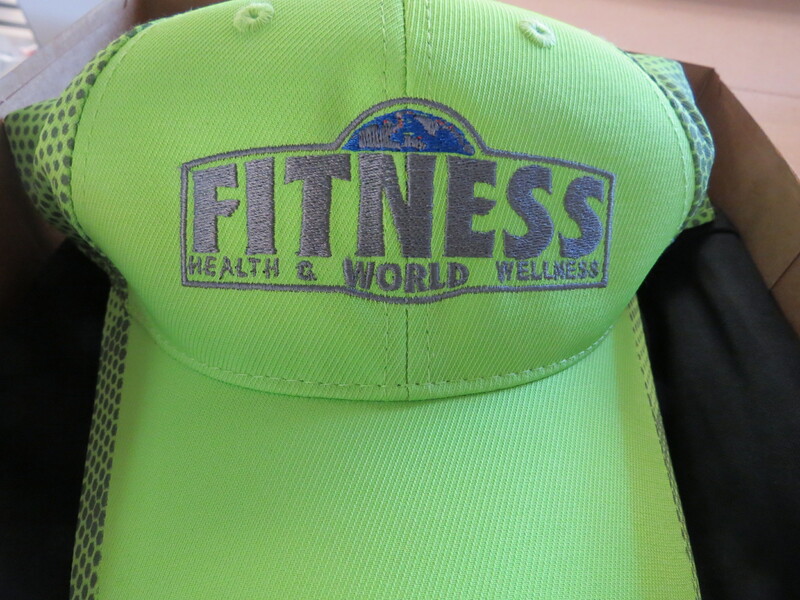 We have quick turn-around time, pricing is available online or by phone or email, or you can personally come into either Just Click Printing shops in Farmington, NM, or Durango, CO. We can use about any brand of t-shirt you need. 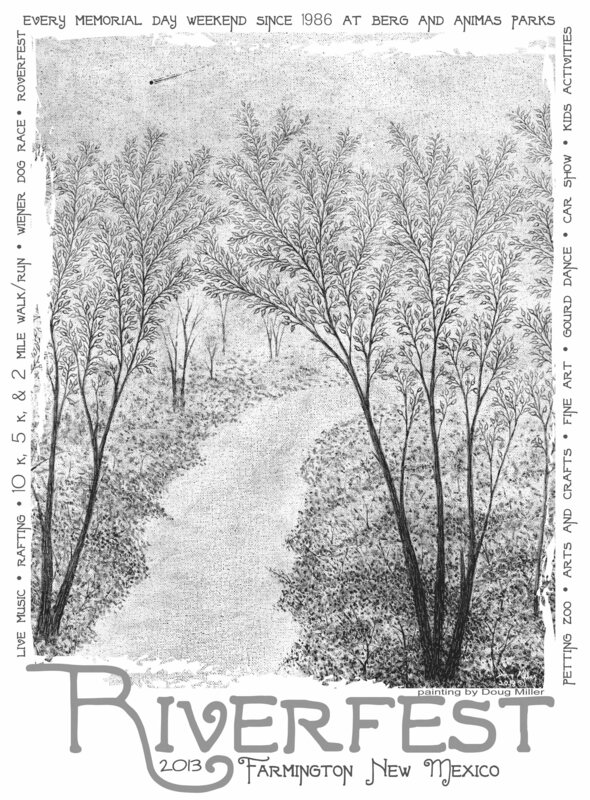 We can design what you need or use your design. 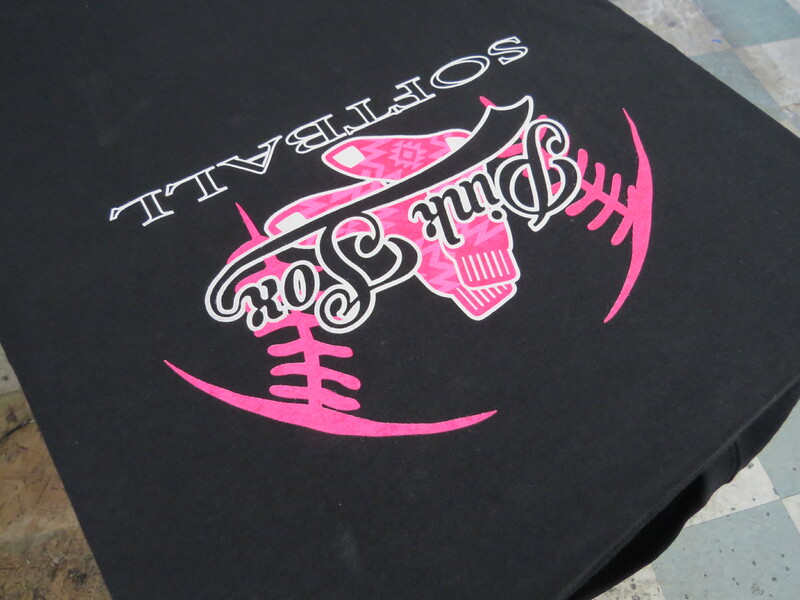 Custom screen printing for custom t-shirts is one of our specialties.